Oh Lush, you’re such an old favourite of mine. I think I bought my first ever item from there when I was bout 14 and haven’t looked back since. I’ve been desperate to get into more of their skincare and branch out into new things and, while I may have picked up some old favourites along the way, I’m excited to try some new bits! 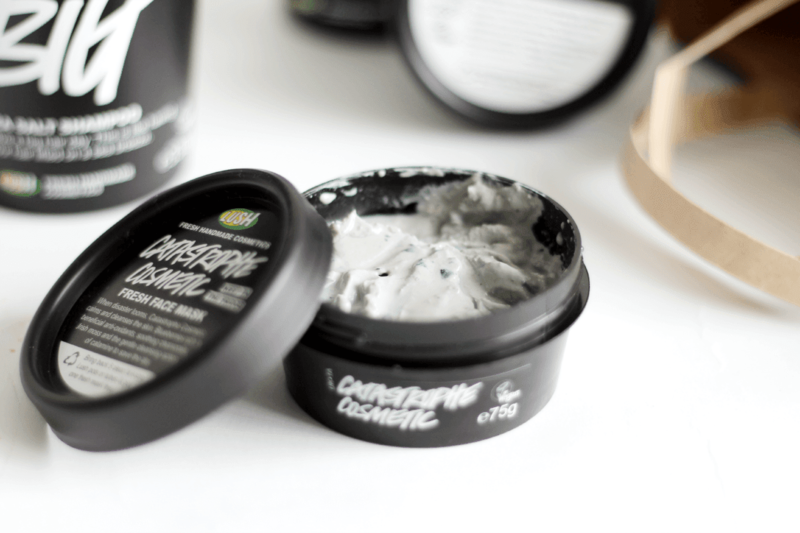 Starting with an staple that I pick up every other month or so, the amazing Lush Catastrophe Cosmetic Fresh Face Mask had to come home with me. It’s that mask I always reach for when my skin is playing up and just needs some TLC. It’s the most calming and soothing mask, but really cleanses your complexion making it appear more clear. It’s honestly amazing. A new purchase in the attempt to try more skincare is Lush Dark Angels Cleanser. I got a little sample a little while back and, despite my initial skeptical opinions, it’s actually really lovely. I thought it felt a bit rough on my skin at first, but after I washed it off my face was so smooth and soft! I’m looking forward to regularly using it. Next is a repurchase (must be the 5th or 6th now!) 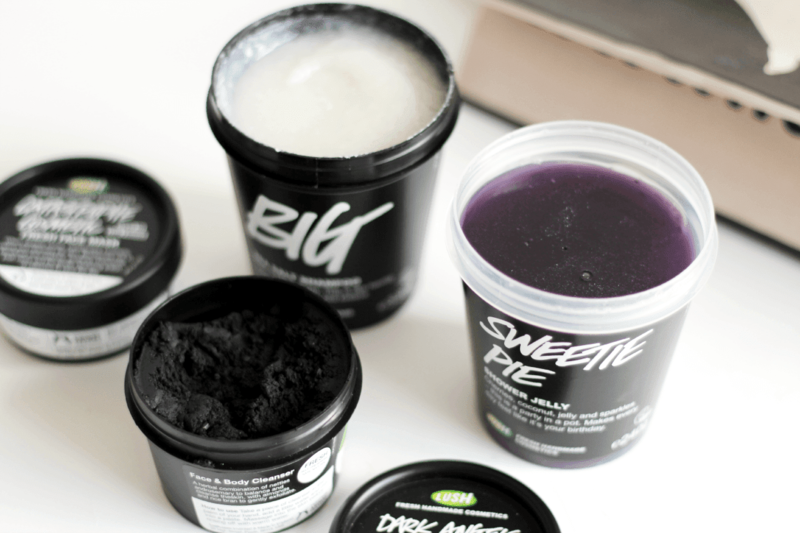 of one of my favourite haircare products, the wonderful Lush BIG Shampoo. It’s a salt based and looks a bit weird in the pot, but you need such a teeny tiny amount to make your hair swishy clean. I say swishy, because it makes your hair so light feeling, but adds volume and all styling products work so well with it too. Finally, I bought Lush Sweetie Pie Shower Jelly because I forgot how much I love the scent! It’s like a blackcurrant ribena dream. I like using these because they feel more like a treat in the shower so I pick one up every now and then. 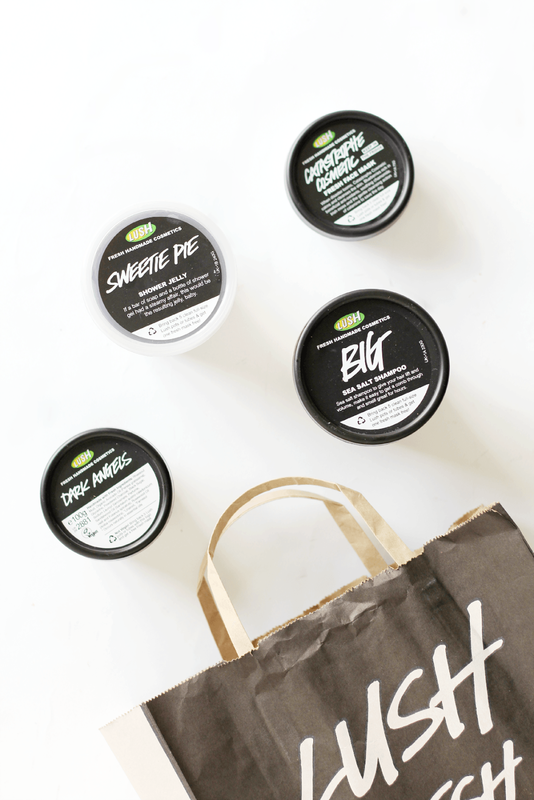 What do you like buying from Lush? Oh and check out my beauty blog sale too!